So glad you had a great weekend and the cottages were ideally located for the wedding at Aberglasney Gardens. It was lovely to show your family around the farm and glad your nephew’s daughter enjoyed joining feeding rounds. We can’t wait to welcome you back again. Took our twins here and it was the ultimate country, welsh retreat. One of our twins has severe physical disabilities but both her and her twin (and us adults!) loved seeing and feeding the animals. We stayed during winter so look forward to going back in the summer also. Amazing even in the depths of winter! Thank you so much for taking the time to write a review and we are so glad you all had a lovely time. We loved having you to stay and enjoyed showing you the farm and having the girls help with feeding rounds. It was great to see both your daughters enjoying the animals and we so hope to see you again soon. Fantastic family fun on the farm! We stayed in August with a 12 and 10 year old. We had a fantastic time, all enjoying the daily feed runs and well as the outside play areas. We've stayed on similar farms before but enjoyed this one the most as, with only three cottages, the children were much more involved through the week. Fiona and Rob built up a lovely relationship with all the children there (aged 2 - 12). They had two farm surprises during the week (I won't mention and ruin it for yours) which were brilliant. The cottage was clean, tidy and spacious. We asked to borrow one kitchen item which Fiona lent us from her own house. We ended up driving alot during the week but there's plenty to do within half an hour. Would definitely recommend this to families of any age! 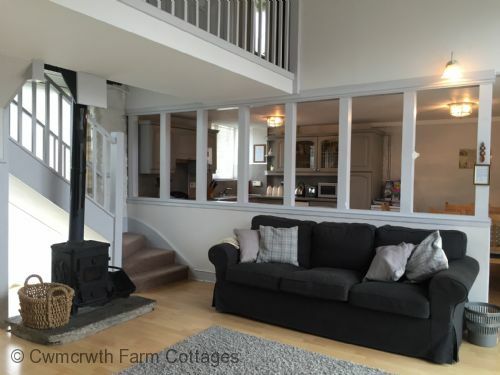 Amazing Child & Dog Friendly Cottage in beautiful location with all requested amenities. Travelling with both a dog and a toddler is always very difficult. Our stay at the coach house was perfect. The cottage was beautifully renovated and there are gates so the dog can’t go up and our toddler can’t go down:) Outdoor is perfect. You get the morning animals feeds which is a fantastic kid experience and then you can go use the massive outdoor playground and have your dog running in the near by field. Day time, there are many wood and beaches to go to which are about 30’ drive (probably some are less but that’s where we went:)), and at the end of the day, you can enjoy a massive barbecue as there are all the facilities for it back at the cottage. Our host were very friendly and helpful in giving recommendations. We will go again! Thank you for taking the time to leave us a review and so glad you had a good time. We loved having you to stay and joining in feeding rounds. Hope to see you again soon and as a returning guest don't forget you automatically qualify for 5% discount even off special offers and in the school holidays. Thank you for your feedback and we are so sorry we have failed to live up to your expectations as we put a lot into our cottages and farm experiences for our guests so that they have a fabulous break. From all our great reviews and returning guests you can see we get it right most of the time. While you were staying one family was on their 2nd visit and the other on their 5th and all but one of our guests over Easter were on their 5th visit so we are not sure how we got it so wrong for your family. In terms of addressing the points you raised, our website has extensive info about the farm and our visitors’ interaction with the animals. Plus we send out pre arrival information. As we are happy to do for any potential guest, we answered all the questions you sent in emails prior to your visit. On your arrival, we spent 10 minutes with you in the cottage explaining all about the cottage, the play area, the animals, safety aspects and feeding rounds and left a laminated safety and information sheet on the table for you. Before leaving we asked if you had any further questions and your partner asked where we were if you had any questions and we explained just knock on the house door next to your cottage. Your family were in the yard visiting the animals and joined us to bottle feed the lambs a couple of hours later. Your partner asked lots of questions about farming and our animals so anything you were unsure of we would have been more than happy to answer then or at any time over the weekend. It is such a shame if you feel you missed out on something when we were here to ask. You mention an incident at feeding rounds on Sunday and we apologise that Rob caused discomfort to your daughter in the way he spoke with her. He wrongly considered he was having a laugh with her about not going in with the pigs and she had been poking her tongue out at him. He likes to joke with the children and parents and would never intentionally cause offence. As you were present as her chaperone it would have been good for you to have said something at the time and explain to him so she was not upset and he could have apologised. You all stayed out to complete feeding rounds so we were unaware she was unhappy. He has spent the last few weeks with visiting families who we have come to know so well and seen the children grow up. We joke with them and they joke with us but in hindsight we can understand that you did not appreciate his manner. Having won a gold customer service tourism award for his “Farmer Rob” role and the mentions he gets in all the reviews and thank you emails and cards we assure you he meant no malice and can only apologise for any upset it caused your daughter. I know both your daughters loved bottle feeding the lambs and the older one loved hand feeding the goats as it was her first time at both, she said she had never visited a farm before so it was a great experience being able to get involved and your partner was impressed with the local area and loved visiting Rhossili. Thank you for taking the time to leave a review, all feedback is important to us and helps us adapt our services. You’ve given us an idea to add FAQ to our website for easy reference for guests and you’ve confirmed exactly why it is important for parents to accompany their children on feeding rounds. Thank you again for visiting. The farm lived up to expectations. There is lots to keep adults and children occupied. Would have liked another tea towel. Our family had the most amazing stay at the Coach House. 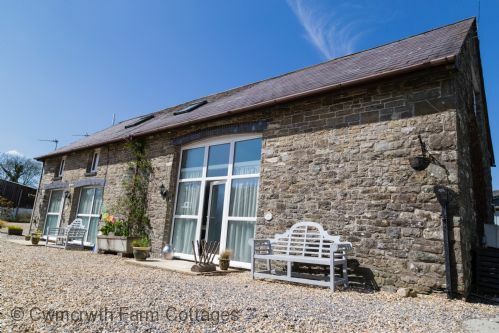 The Coach House cottage was clean and tidy when we arrived and a perfect cottage for 4-6 people. Fiona & Rob were very friendly and our children (11 & 9) thoroughly enjoyed their morning farm rounds with them. There were enough animals to feed and tend to each day. Rob especially really enjoys his time with the children and loved taking them around the farm on his tractor & quad bike. 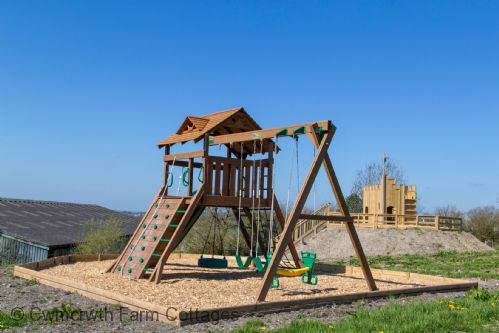 The playground area is excellent for kids under 12 & hours were spent there with the other kids staying on the farm. A great holiday all round -thanks Fiona & Rob. A brief visit, but excellent facilities. Well kept grounds, perfect for families. The coach house was spotless and had everything you could need. Delicious welshcakes too - a lovely welcoming touch! 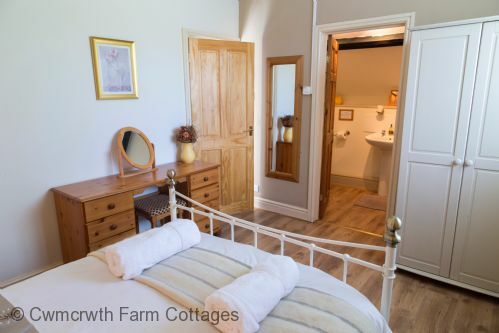 Excellent facilities in the cottage, location is peaceful and beautiful. A lovely welcome from the owner. We have stayed here a number of times before and we'll be back again! Perfect place for adults & children to make memories. It's our happy place aswell!! Love having you all to stay and the boys are great out on the farm. So glad we lived up to your expectations again and we look forward to seeing you again. We had a lovely stay and the cottage had everything we needed. As we went with two other families and all had a cottage each this worked out really well for all of us. Would highly recommend staying here and there is plenty to do in the area. This is our third stay at Rob and Fiona's farm , and we will be back ! Rob and Fiona are so welcoming. 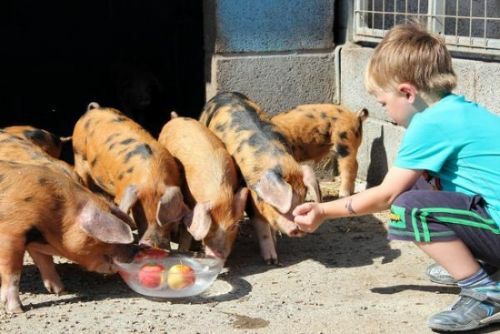 We love the farm and the fact that the children can help feed the animals in the morning , Rob and Fiona are very patient. 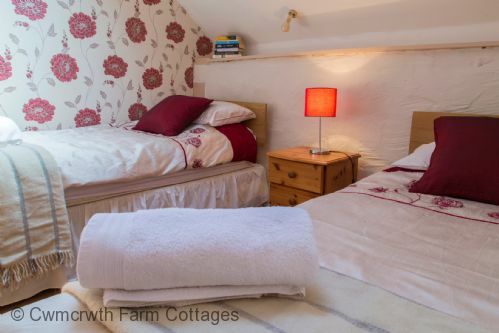 The cottages are warm and cosy , the beds are very comfortable. Dogs are welcome too. We buy some meat from the farm which is always delicious. The area is great to explore and we did lots of very different walks from Pen Y fan in the Brecon Beacons to the Dylan Thomas walk by the Estuary in Laugharne to Cennen Carrig castle and the local beaches. The Red Kite Feeding Centre near Llandeusant is definitely worth a visit too. We recommend visiting Llandeilo, the local town , the Ginhaus is worth a visit as the food is lovely and they have a lovely delicatessen. Kids had a great time every morning feeding the wide range of animals: goats, pigs, donkeys, chicken, rabbits, sheep, cows. Comfortable cottage with everything we needed for our stay. Our three-generational family holiday at the Coach House Cwmcrwth Farm subjected the facilities to a severe test. The age range of the party ran from 68 to 3, it rained for 3 of our 4 days and political developments proceeded at breathtaking speed throughout. The accommodation handled these challenges successfully, reliable Wifi, nice big playing space in the house, good cooking facilities though more fridge space would be useful for a party of 5 people. The resident humans and farm animals were a pleasure to interact with and we were lucky enough to coincide with newborn piglets and a very young kid. 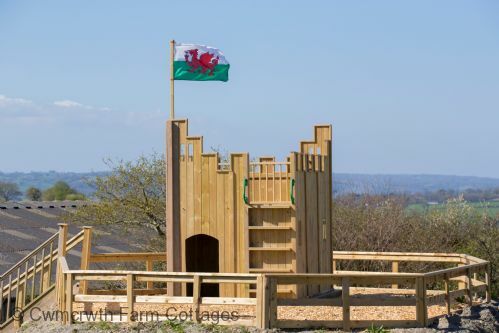 The outdoor playing area is exceptional and would provide hours of fun for children in the right weather. Cwmcrwth is in a genuinely rural location but within easy reach of shops and facilities like swimming pools as well as far more interesting heritage sites than we could possibly get to in the time we had. Mid Wales in general, and the Towy valley in particular, is reliably beautiful and mercifully under-visited. 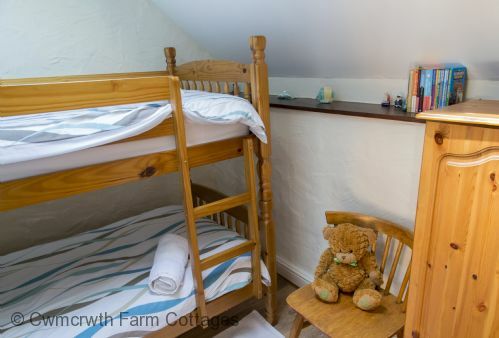 I would recommend Cwmcrwth Farm to anyone looking for a good base for a holiday involving farm animals. I cannot recommend the Cwmcrwth Farm team enough. I took my sister there for a 50th birthday surprise as she is mad on pigs. I had arranged two mornings with Farmer Rob under the general title of "farm experience days" and had expected to get in with some of the animals, but hadn't expected to be so hands-on which was just brilliant. We did "all things pig" including - rubbing/brushing oil onto their skin which they loved; fed them; mucked out their pens; herded them from one enclosure to another. We got wet, dusty, dirty, pushed around (by the pigs I hasten to add, not Farmer Rob) and breathed in copious amounts of fresh air and the odd unpleasant farmyard whiff then returned back to our cottage with huge smiles on our faces and utterly exhausted. We enjoyed breakfasts of fresh free range eggs and sausages/bacon; lunches of beef casserole and pork meatballs with pasta; all from the farm of course, along with freshly baked cakes. Terrific fun for children while being comfortable and relaxing for adults too. The Coach House was well jotted out and more spacious than we appreciated from the photos. The morning feeding rounds are a must! The owners were approachable and so helpful when we needed to make some amendments at short notice. The Coach House is modern and spacious, with hotel comforts included (shower gel, shampoo etc) and the kitchen had everything you would need. Would look to use again. We spent a very enjoyable Spring half term week at Cwmcrwth Farm Cottages (The Coach House). Our 3 and 6 year old loved staying on a working farm and particularly enjoyed being able to meet all the farm animals, including the particularly energetic farm dogs, Bryn and Meg! Highlights included driving on Farmer Rob's quad bike, seeing one of the sow's give birth (and holding the first piglet!) and playing on the castle and climbing frame up on the hill. Oh and finding 'treasures' with nets in the pond! In all a great family break. A lovely family holiday in beautiful location. Rob and Fiona were so friendly and helpful and the animal feeding was the highlight! Would recommend this holiday to any family with young children. Just got back from a wonderful short winter break at the farm, and really enjoyed our stay. Travelled with 2 adults and a 2 year old. Farmer Rob and Fiona were so welcoming and our son had a wonderful time feeding the animals and riding on the tractor and quad bike. It rained and yes it was cold but we wrapped up warm and afterwards warmed up with our log fire and hot chocolate in the coach house. Accommodation was clean, modern and had all the amenities you might need including bed guard, cot, toys, DVD etc. Found plenty to do around the area even though we had to make sure there was an indoor option in case of bad weather but we managed to fill every day! Would highly recommend. A really welcoming and comfortable cottage with everything on hand. Ideal for a family of four with older children. Peaceful location close to the local town. Our daughter (4 yrs) loved the morning feeding with Rob who was very easy going and great with her. The cottage was lovely but a shame the log burner was not working, it got pretty chilly downstairs at night. Lovely to have a selection of toys and the rooms were great, top bunk looking at the stars was a treat for us city dwellers! This was a great family holiday from the moment we arrived to the moment we left. The whole experience felt tailored to the families that were stayin on the farm. The cottage was lovely open plan building with plenty of space for the 7 of us. It had a TV that we didn't even think about turning on as we were having so much fun, and games for both the children and adults to play in the evening. On arrival we found a large plate of Welsh Cakes waiting for us. After these were eaten we all walked up to the play area, and even the grandparents enjoyed a swing before dinner. After dinner Fiona brought round a feed bucket each for the children to decorate and a pumpkin to carve, which really added a personal touch to the experience. The Junior Farms day was great fun. The children loved feeding the chickens, goats and pigs in the morning. They even enjoyed mucking out the pigs for Farmer Rob before riding on his quad bike. They held a chicken and a piglet before a quick break for cakes in the cottage. After the break we fed the pigs in the fields and managed to get very muddy. Then came the hay challenge, the children and some of the adults enjoyed climbing across the hay bales and jumping from one to another. Lunch was provided, sausages, chips and beans, which were very tasty. In the afternoon the children got to ride in a sheep trailer to check the sheep and cows that were a bit further away. Then it was donkey grooming time. They groomed and rode Millie the donkey before playing in the hay again. At the end of the day they helped round up the chickens for Farmer Rob. The next day the girls helped feed the chickens, goats and donkeys again. On the last day the girls were given a Farming Certificate, some sweets and a cuddly toy each. My youngest loved it so much she cried most of the way home, and wants to move to Wales to become a farmer. Thank you so much for taking the time to write a review we are thrilled you enjoyed yourselves and had a great family holiday. We loved how the whole family got involved everyday, you all made such great memories for the girls for years to come. Thank you for making half term so much fun. Can't wait to see you all again.